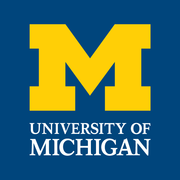 The University of Michigan is a public research university located in Ann Arbor, Michigan in the United States. Sampling People, Networks and Records via Coursera 6 weeks long 6 weeks long 29th Apr, 2019 No reviews yet. Understanding User Needs via Coursera 4-8 hours a week , 5 weeks long 4-8 hours a week , 5 weeks long 29th Apr, 2019 No reviews yet. Making Successful Decisions through the Strategy, Law & Ethics Model via Coursera 10 weeks long 10 weeks long 29th Apr, 2019 No reviews yet. Introduction to User Experience Principles and Processes via Coursera 2-4 hours a week , 6 weeks long 2-4 hours a week , 6 weeks long 29th Apr, 2019 No reviews yet. Evaluating Designs with Users via Coursera 4 weeks long 4 weeks long 29th Apr, 2019 No reviews yet. Dentistry 101 via Coursera 4 weeks long 4 weeks long 1st May, 2019 No reviews yet. Diversity and Social Justice in Social Work via edX 8-10 hours a week , 8 weeks long 8-10 hours a week , 8 weeks long 9th May, 2019 No reviews yet. Data Science Ethics via Coursera 3-4 hours a week , 4 weeks long 3-4 hours a week , 4 weeks long 13th May, 2019 No reviews yet.